Bouncy toys, delicious treats, stylish fashions for both you and your pet. 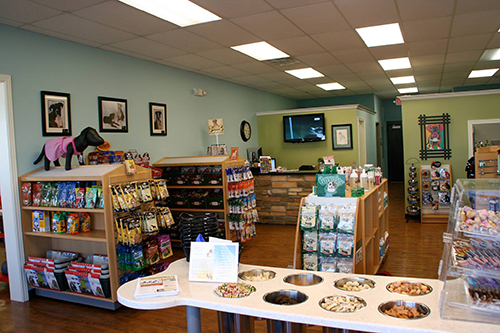 The Savvy Dog is proud to carry all of your pets necessities in one convenient location! The Savvy Dog stocks a full range of pet supplies including: grooming tools, shampoo, conditioner, body sprays, to natural vitamins and supplements. Come see our many pet beds of all shapes and sizes including crate mats and variety of car accessories. We also have a wide selection of flea and tick products for your home and for your pets. We have Advantix, Frontline Plus, Liberty and Adams. So come in and shop around, we have many unique boutique items and plenty of gift ideas. Gift cards available for any amount.